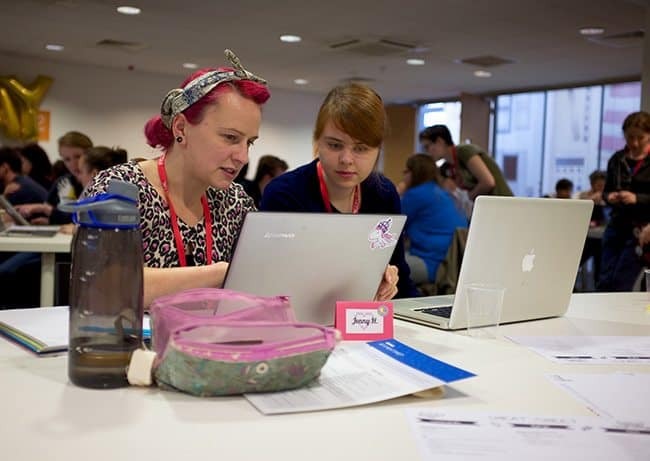 Cardiff is to play host to a free programming workshop for women this September. The workshop is called Django Girls and is one of a series of workshops for women held all over the world and run by volunteers. The event, being run in parallel with the community-organised Python language conference PyCon UK, is looking for 30 participants interested in taking their first steps into programming and to using some of the technologies involved in building your own websites (using languages like Python and the Django framework) for free. We caught up with organiser Helen Sherwood-Taylor (pictured right with Päivi Suomela) to find out more about how potential programmers can get involved, and how anybody can create their own Django Girls event. TechSPARK: What is Django Girls and what do you do? Helen Sherwood-Taylor: Django Girls is a non-profit organisation providing free, one-day programming workshops. It was started in July 2014 by two Polish women, Ola Sendecka and Ola Sitarska, and has been growing rapidly ever since. Hundreds of these workshops have happened all over the world and thousands of women have learned basic coding skills this way. Each workshop is run by volunteers and usually supported by sponsors. Attendees work through the Django Girls tutorial, which teaches them to build a simple web application using HTML, CSS, Python and Django. Everybody works at their own pace, alongside a small group and overseen by a coach who is always on hand to answer questions and help work through problems. The tutorial is freely available online so anybody can work through it alone at home. However, being at a workshop gives the opportunity to be part of a community, meet other female programmers and get advice from experienced coaches. TS: What is the aim of the free workshop? H S-T: Women are underrepresented in the programming world and Django Girls aims to address this by building both skills and confidence in a safe and friendly environment. Some attendees are planning a career in software development, some have a particular project they want to work on and some are just curious or want to learn a new skill. They are encouraged to try things, make mistakes, break their code and fix it again, ask questions and explore technology on their own terms. It is only the first step onto a programming journey, but it can be quite empowering for somebody to see what they can accomplish in a workshop like this and realise that coding is something they are capable of. 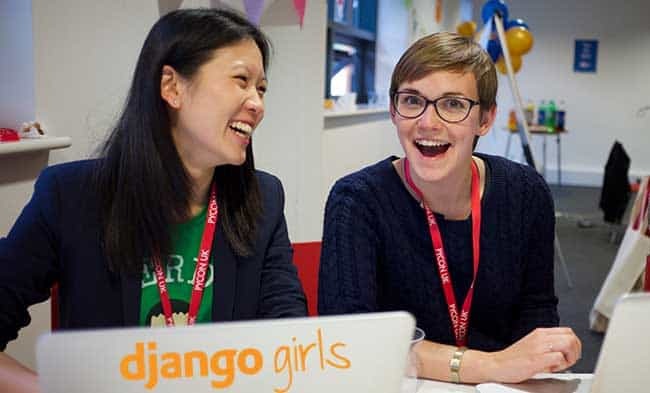 This particular workshop is also part of the PyCon UK conference and we are offering free conference tickets to Django Girls participants, giving access to 4 days of talks, workshops and collaborative coding sessions so they can explore the world of Python beyond Django. TS: Do you need to have done something like this before? H S-T: Django Girls is suitable for complete beginners. Probably about two thirds of workshop attendees have never coded before so it’s fine to know nothing about programming and it’s also fine to start off knowing a little bit of Python or web development. 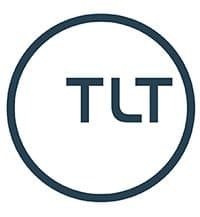 It’s a long but very full and rewarding day that gives an insight into what web development is like, and a great starting point for continuing to develop those skills. TS: Is Python a good place to start programming? H S-T: Definitely. For years Python has been seen as a good learner language because of its simple syntax, high level approach and powerful standard library. It’s also been growing in popularity and now has the advantage of being very widely used – there are lots of companies using Python for web development, data science, finance and scientific applications. It’s such a versatile language and it’s great to be able to build those skills all the way up from your very first line of code to a successful programming career, or creating that useful bit of software you always wanted to build. TS: How else can people get involved with Django Girls/PyCon? We encourage anybody who’s interested in Python programming, regardless of their level of knowledge, to come along to PyCon UK. It’s always a fun conference with great talks at all levels and a friendly community. There’s a science track which focuses on Python’s scientific applications, and an education track for teachers and kids. We encourage anybody who’s there on the Thursday to drop into the workshop and see if any extra help is needed, or just say hello and see what it’s all about. We still also have some sponsorship opportunities for companies. 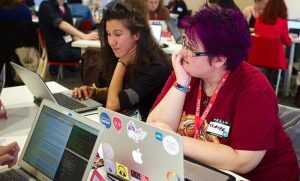 People can also organise their own Django Girls workshop – all the workshops are run by different sets of volunteers, it’s great fun and there’s a lot of support available. The Django Girls Organisers Manual will tell you more about this.